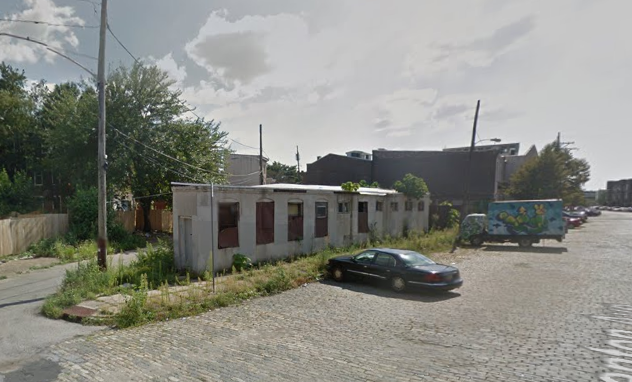 Trenton Avenue has six new homes on the way. The intersection of Blair Street with Trenton Avenue creates a "flatiron-shaped" parcel, and that's where AGA Developers are currently building a project called Trenton Stables. 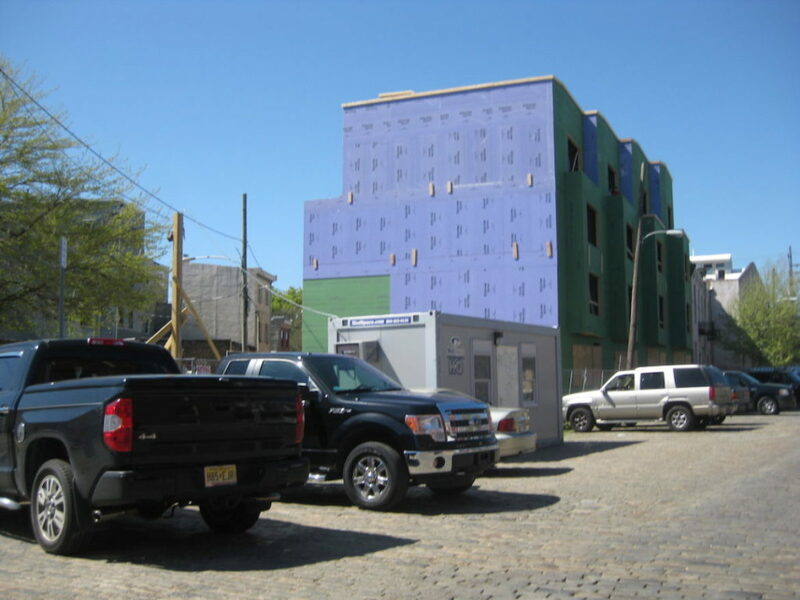 You may recall, these are the same developers that have been building the Frankford Square project over the last couple of years. As for Trenton Stables, the homes are replacing a one-story building that was at one time, appropriately, a stable. The improvement is significant. You can see, four homes are now framed out and according the project website they'll be finished by June. We'd be more inclined to guess August, but a couple of months are but a blink of an eye for the development gods. 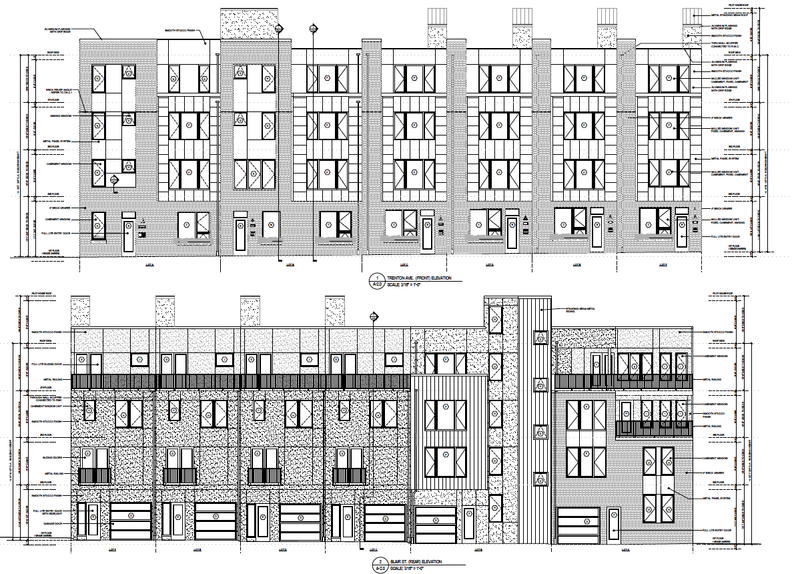 These four homes will have a fairly standard layout, with rear-access parking from Blair Street. The remaining homes, which have yet to be framed, will be much more unusual, as the lot narrows to a point. 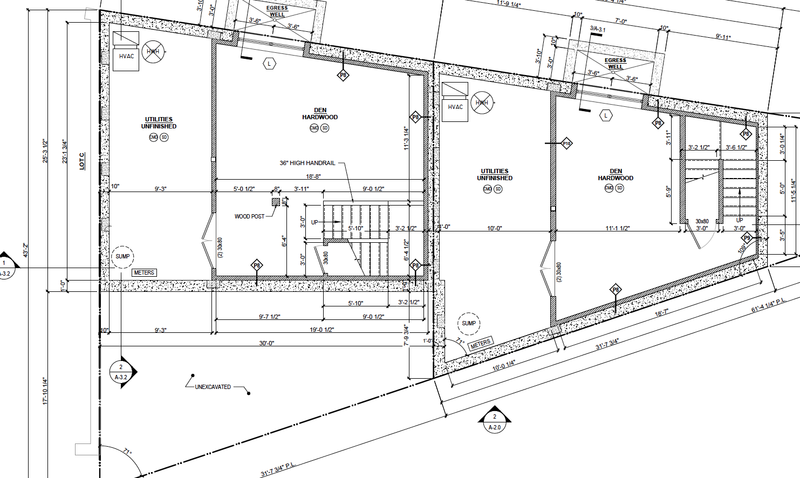 Below, you can find elevations drawings for the entire project and a floor plan for the final two homes which illustrates what we just described. Basement floor plan. Yard for the final home will be a side yard, not a back yard. Three of the homes are already under agreement, but the "corner" home is still available. Despite its odd shape, it will have 3,300 sqft of interior space like its neighbors along with parking. Even with aggressive pricing approaching $500K, we suspect it won't be long until all the homes are spoken for. Once they're done and everyone moves in, the residents will all have great views of one of our favorite buildings in the neighborhood.